Chris Stephens is curator of Modern British Art at Tate Britain. Interview Rupert White. 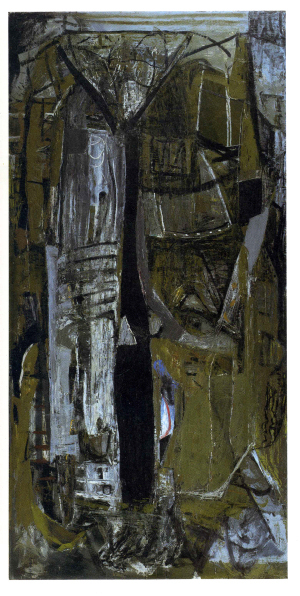 You said earlier that Peter Lanyon was a painter that struggled to make art. Is his struggle best understood as an attempt to reconcile international modernism with a sense of local identity? He was the only St Ives artist to really attempt such a synthesis. Yes. I suppose the struggle is to find a new way of making paintings, both physically and intellectually trying to marry a new visual language with ideas about Cornwall, and ideas about what it is to be in the world. All of that is within the context of the need for a new idea of art in a new world. It's a dismal world defined by the war, and the holocaust, and the bomb, and the Cold War. Its particularly marked in Lanyon because he's the direct inheritor of the idealism of Nicholson and Gabo. Yes. I think all important artists after the war have got to develop a new way of making art in the wake of what has happened. But it is more direct for Lanyon because he is the pupil of the generation that went before. How do you make art that takes something from them but is still meaningful when the idealism of that generation has been so fundamentally undermined? So you see the 'Construction for St Just' (right): this little house of cards made out of bits of broken glass, and he leaves the old putty on bits of it, so it's very clearly from an old window or greenhouse. It's almost as if he is reinterpreting Gabo's beautiful Perspex constructions for this fragile, fractured, darker world. And also a more real world? Yes. And its not all pessimistic. He's not like Bacon, in that sense he is trying to find something positive and looking-forward. It's, as you say, more realistic. It's recognising the cultural, historical context in which he is positioned. And his reason for looking to the landscape is not because it's lovely, it's because it's a return to something rooted. 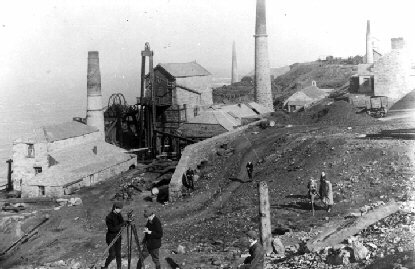 His engagement with the history of mining and agriculture in Cornwall is also about historical injustice. Arguably, here in the Tate, the painting 'St Just' is the centrepiece of the exhibition. It's a really important painting is n't it? 'St Just' (below left) is one of the great works of art made in Britain in the 20th Century. No-one else has made a painting that looks like that. The way it's built up. This layering of ideas of abstract painting, crucifixion, other mythologies, and of the history of a place. The struggle comes from that multifaceted negotiation of idea, image and style. Yes. Not necessarily his immediate relatives, but still when he talks about gathering up the broken miners to put them in coffins and carry them to St Just there is a working through of a kind of personal guilt. He is trying to make good, symbolically. Lanyon's sculptures have tended to be overlooked in the past, but there's something quite interesting about them. I'm intrigued. He himself marginalises them, yet he makes them, he keeps them, and they're made to last. Porthleven Boats, for example, looks very fragile but there are films of him in the 50's picking it up like a kitten and holding it by the scruff of the neck. He makes them to last and he does exhibit them in Downing's Bookshop say, but also in London and New York. But he insists they are just 'supports'. It may be true of Porthleven Boats, but I think he's really making sculpture because he likes making sculpture. Yes, and part of that contemporaneity comes from their transience; their incidental nature. A lot of contemporary art is modest and understated and contingent, in a way, and his sculptures look a bit like he's picked up a few bits and just arranged them on a board. They are a bit ad lib and you see things in them that are recognisable objects. When an artist dies young its impossible not to see that career as whole. What should have been the beginning of a mid career becomes the late work. Lanyon wasn't unique. All the artists in his circle were changing their work in '63, '64: Alan Davie, Bryan Wynter, William Scott, Patrick Heron, Terry Frost. They're now middle-aged, they're established and they're not forging a new language. That's being done by Pop Artists. Yes, and I think maybe that's the way he would have developed. 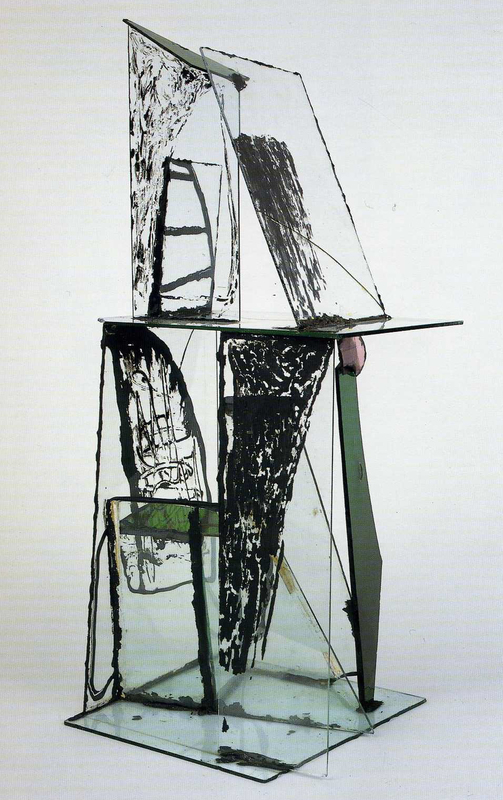 Heron started painting big fields of colour, but Lanyon is beginning to simplify his images. They're not layered in the same way and the colours are much purer, and more synthetic. Not coming from nature: they're less referential. Certainly he was such an extraordinary inventor that I think its possible to imagine that he would have moved on to something very different. He made more sculpture in the early sixties and a lot more reliefs as well as freestanding sculptures. It's in the nature of avant garde artists that it's the work that they make in their early mature years that are the most groundbreaking. I mean no-one would claim that Scott or Heron did anything as radical as they had done in the 50s, though late Herons are probably as good as early Herons so who knows. You've included a few figure-based works, drawing mainly, what was the thinking there? His drawings are fantastic. They've been left out because of lack of space, but the reason for having two or three figurative drawings almost subliminally inserted is because in many of his paintings the figure was one of the things he had in mind. These paintings about places are a reference to being in a particular place with a person. If you think of Clevedon Bandstand there is a figure very clearly. The human figure runs through a lot of them. When you read some of his writing he describes exploring the landscape in different ways. He talks about 'taking it unawares', for example. But his writing can be quite mystical and difficult to understand. He used to get students to lie on their backs and look at the sky, or lie and look down over a cliff. This is a man who suffered from vertigo. It's less about the landscape and more the bodily experience, and about how that feels. Catching the landscape unawares, I think, is like the clarity of vision you get on waking, before your eyes naturally compose what you see. Also running through the landscape, walking through the landscape, lying on your back, lying on your front: its all about finding different ways of seeing it and feeling it. There's some interesting parallels there with Richard Long: they share an interest in the experiential. Interestingly someone told me recently that Lanyon lectured at the West of England Academy when Long was there and Long was very inspired by this lecture which was about making art based on the experience of moving through the landscape. There is a logical progression. For artists of Long's generation the performative aspect becomes the work rather than preparation for the work. I was excited about this. I always had a hunch that there was a link between Lanyon and Long, and to be told that Long was inspired by this lecture in Bristol just before he went to St Martin's is very exciting. 'Peter Lanyon' is at Tate St Ives between 9/10/10 and 1/1/11. See 'exhibitions' for installation shots of the show.